Open up your creativity and challenge yourself by learning this fun technique. It’s guaranteed to change the way you look at color. Better yet, you might discover your newest passion. Patti Pease Johnson will tell you, “It’s all about playing with colors.” Why not reward yourself by creating your very own inspired silk scarf. 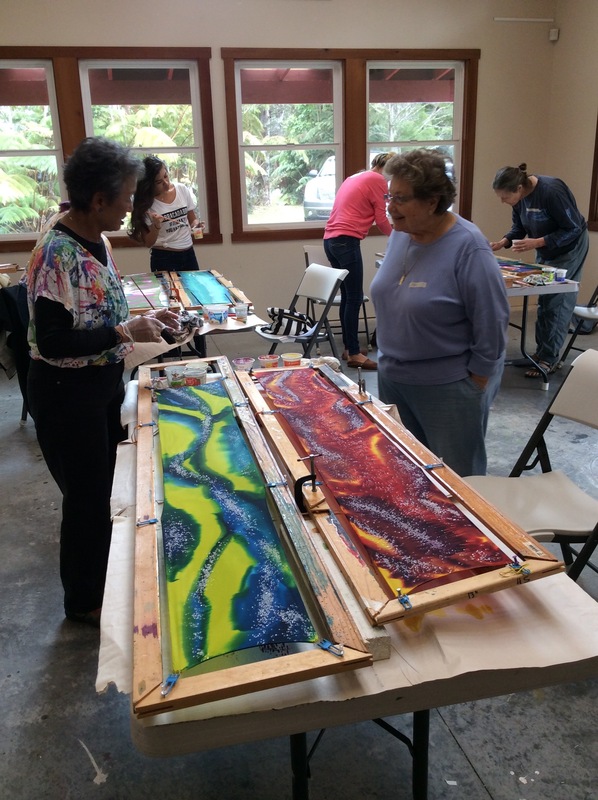 Join Big Island artist Patti Pease Johnson, for the Paint Your Own Silk Scarf workshop on Saturday, March 2, 2019, from 9:00am-12:30pm at Volcano Art Center. 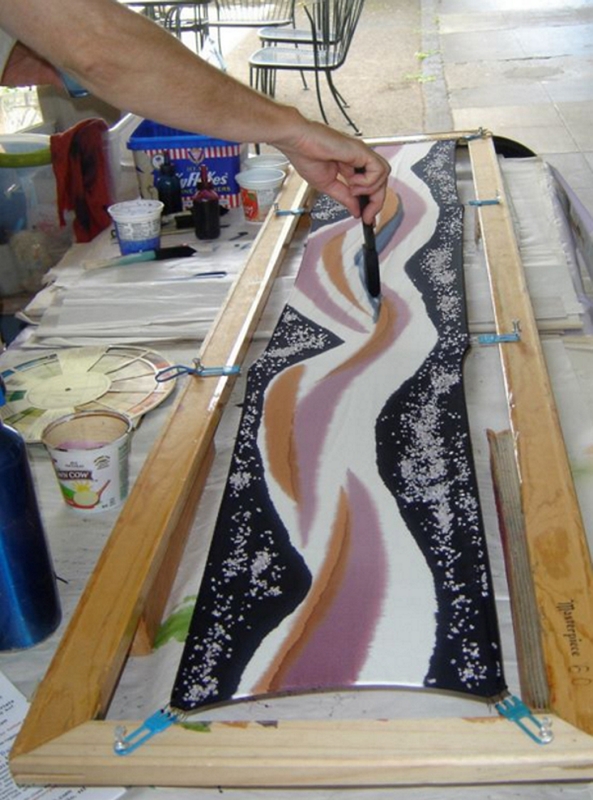 Cost for the workshop is $50 and $45 for VAC Members plus a $10 supply fee per person. Beginner and intermediate artists are welcome. This workshop offers you a great way to have fun with colors and dyes and make a stylish personal statement every time you wear it! PLUS, in the final hour, you will use hot wax with the tjanting tool on Habotai silk to outline your more representational design and create a resist line for the dyes. Then you will paint and mix colors on the 10” x 10” silk artwork. Patti Pease Johnson’s artwork can be found at galleries and shops across the State and in collections around the world. Patti has a designer’s ability to distill natural subjects into their most essential forms and to rearrange them in her paintings. She lives in Kea‘au with her family and teaches painting at her home studio. For the month of February, her artwork is featured in the window display at One Gallery, Hilo. “It is all about abundance and arising imagination,” says Patti. The artworks include sculpture, mobiles, fashions, soft pastels, and clay objects.